Today’s post is a birthday card for a dear friend’s Mom for her 88th birthday. Today’s card is another easel card I seemed to be stuck on them at the moment. Making the card base see the tutorial here I did change the size a little to accommodate the Spellbinder dies. 1. 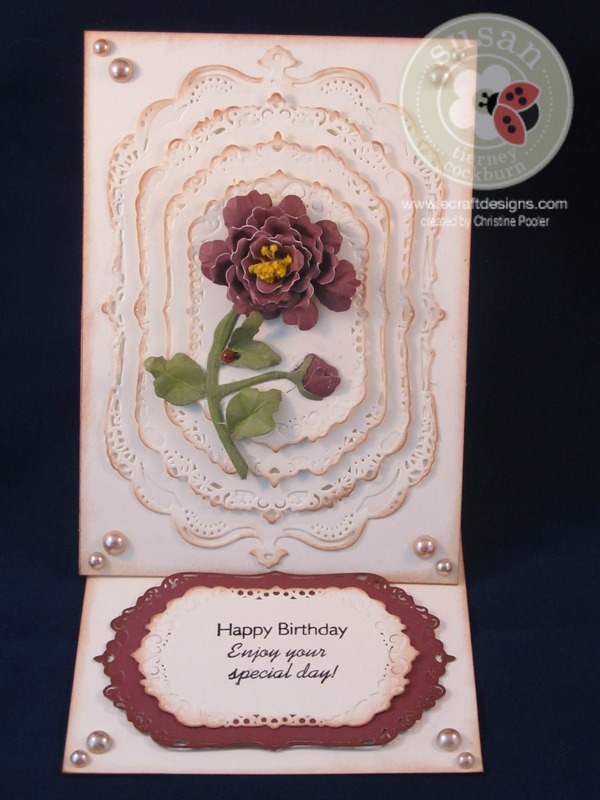 Using Spellbinder Gold Label Four dies cut the 4 largest dies using Colonial White cardstock. 2. Attach largest one to the front of the card using clear double sided adhesive and then the next 3 sizes and using pop dots or mounting tape stack them on each other centering. 3. Die cut a piece of Colonial White cardstock using the next to the smallest die and using the third smallest die and Vineyard berry cardstock cut 1 piece. 4. Stamp sentiment on the Colonial White die cut and then attach to Vineyard berry die cut using clear double sided adhesive. 5. 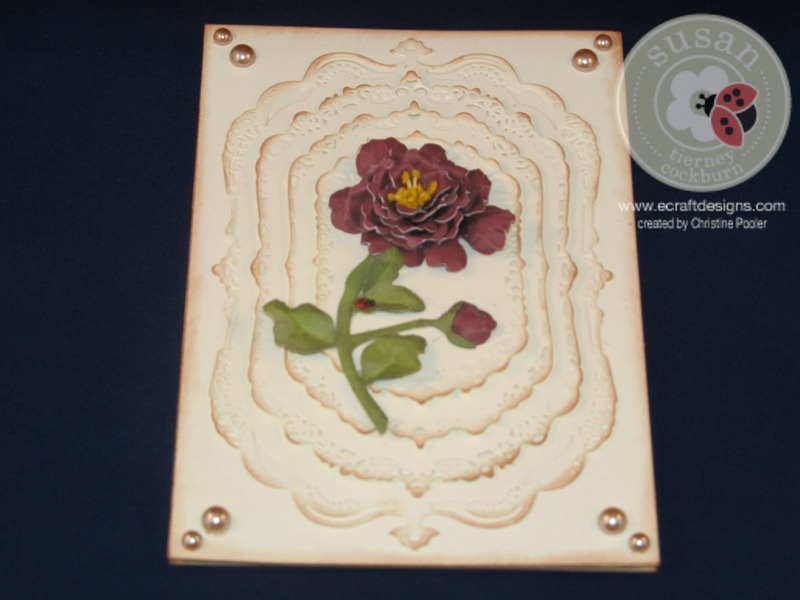 Next cut and shape your peony using Susan’s Garden Notes peony die and here video seen here and build on your card front. 6. Using pop dots or mounting tape attach the sentiment to the lower 3″ segment of the card as a stand up helper. 7. Add pearls or gems to the four corners on the front and the lower two corners under the sentiment. I do hope you have enjoyed this post and that you will try it for yourself.